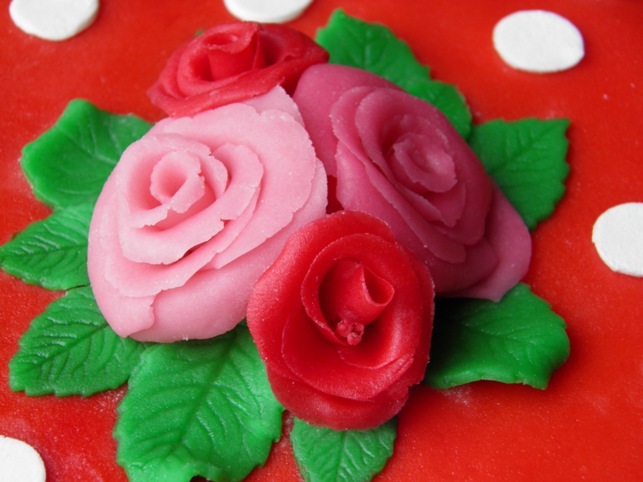 My sister in law always wanted to learn how to decorate a cake with marzipan and how to make roses with marzipan. So this year I decided to take her to a cake decorating workshop as her birthday present, and she LOVED IT! I was not particularly interested in marzipan cake, but enjoyed the workshop nonetheless. It's like playing play-doh for 3.5 hours, and the best part is, I could eat what I crafted. 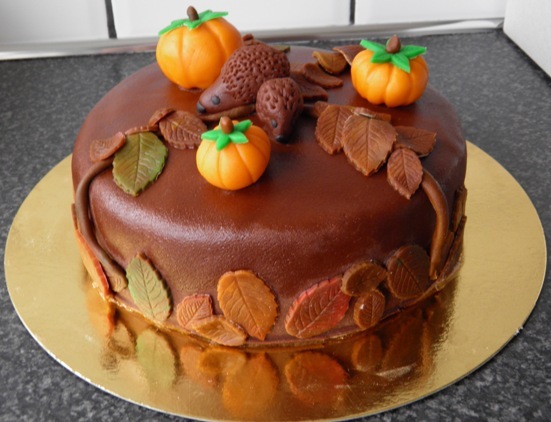 So here is my fall cake with pumpkins and porcupines. My sister in law did an absolutely amazing job with those marzipan roses on her oilily cake. Seriously, you can't tell that this was her very first time decorating a cake with marzipan. Okay I am still not crazy about marzipan, but have to admit that I am tempted to decorate cupcakes with marzipan just for the fun of it. Now I just need to find the audience to eat them.